African elephants are majestic creatures. 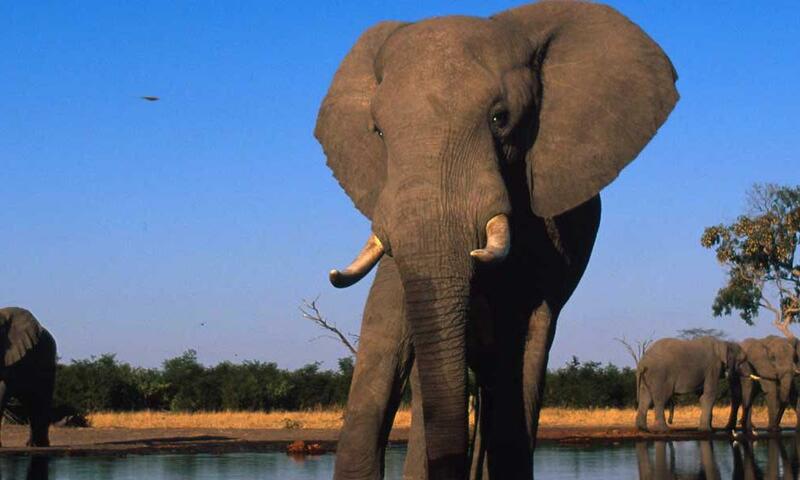 They are the largest land mammals in the world. They inhabit almost the entire continent of Africa, and occur is two major subspecies: the larger and more widely known Savannah (or bush) elephants and the slightly smaller Forest elephants. Savannah elephants, the largest terrestrial mammal. African forest elephants, the third largest terrestrial mammal. The forest elephants are more abundant in the Eastern side of the content. The central, western and southern parts of the continent are dominated by Savannah elephants. At the start of the 20th century, there were over 1 billion African elephants living in the wild, spread throughout the continent. Today, the number is close to 350,000. That is a HUGE decrease. If you are wondering why this happened, the answer is humans. There are two major reasons for this decline in population. This is a problem that is present throughout the world; Africa is no different. Increased fragmentation, especially in the Eastern parts of the continent have seriously affected the migration routes of elephants. More and more populations are getting isolated, and they are unable to breed effectively. Fragmented habitats have also lead to more conflicts with human settlements, and the humans kill problem elephants, with the support of the authorities. Poaching continues to be the single biggest threat that these elephants face today. These elephants are known for their ivory; it’s the most distinctive part of their body. Ivory is a sought-after commodity for ornamentation all over the world. In South East Asia, the purposes are more varied; medicine, ornamentation, food etc. The surge in poaching in the 1990’s was exponential; more elephants were being killed than there were born on the continent. The most severe cases of poaching have been in Eastern and Central Africa. 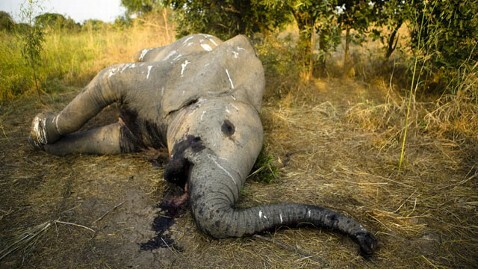 The elephant population here has fallen by 50%; in Tanzania, the fall is 60%. The elephant population is the Republic of Congo, once the largest in this region, has been reduced to a fraction of this size. The Savannah populations of Chad have taken heavy losses and those in the Central African Republic have almost completely disappeared. In Southern and Western Africa, the cases of poaching have been increasing in the last decade. This could be due to elephant migration towards these regions; the threat here was less. Also, Southern Africa holds the largest population of African elephants, numbering close to 293,000. Zimbabwe, Mozambique and Ivory Coast and Ghana have all reported loss of elephants and entire populations in the last 5 years. The poachers are have some nerve. Most of them hire helicopters and fly over the Savannah in search of elephant populations. When a population is spotted (a population is about 12-14 individuals in size), they literally shoot it down from the air. 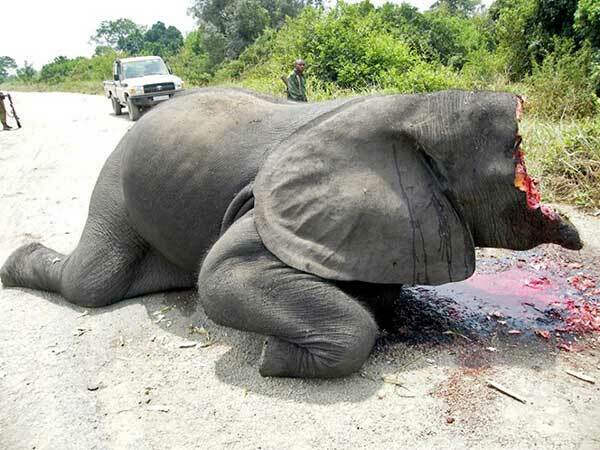 Once shot, they cut off the heads or pull the ivory right out of the skull. At a time, close to 6 elephants can be “harvested” for their ivory. This is gruesome, inhuman and an absolute abomination on nature. The entire population dynamics of African elephants has changed because of this stress induced on them. In just 10 years, from 1979 to 1989, the distribution of these mammals has undergone a massive change. Interestingly, you can see that the populations have shifted towards nations that have not had much of a history of poaching. The fight to keep these mammals alive is one of the largest in the world. It involves conservationists, population scientists, local authorities, governments, IUCN, Interpol and even customs officials. Even the elephants are trying to combat this treat on their own by changing their social dynamics. How is this faring? Stay tuned to find out. That’s barbaric. Those pictures gave me goosebumps. Reblogged this on Brown Little Sparrow. PreviousWhat are improper agricultural practices doing to our land?